Red, white and blue veritcal striped linen pants with double front tie detail and a hidden back zipper. Model is 5’9” and wearing a size small. Neon pink heavy ribbed knit tank top with v-sliced neckline. Model is wearing a size small. Black linen-like off-the-should crop top with drawstring rouched front. 100% cotton. Model is wearing a size small. White denim fitted dress with off the shoulder top ruffle and an exposed silver zipper. Model is 5’9” and wearing a size small. White long sleeve lightweight button down tunic with slit sides and chest pocket detailing. 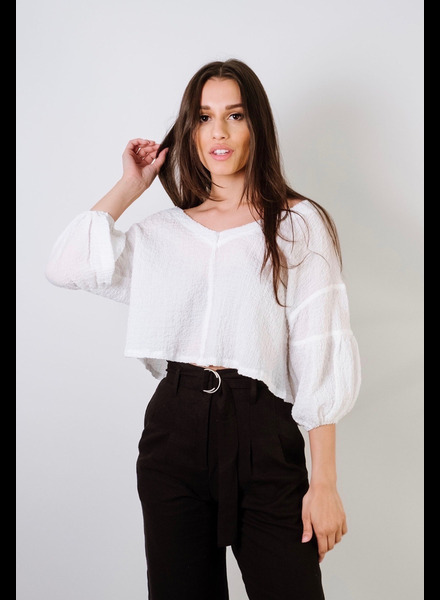 Model is 5’8 and is wearing a size small. Black linen wide leg pants with silver ring buckle belt. Model is 5’9” and wearing a size small. 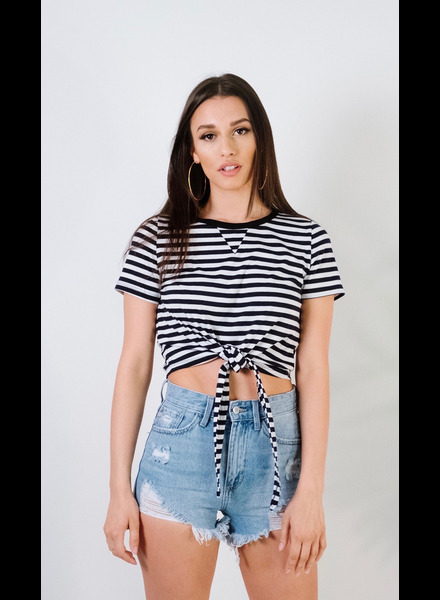 Navy and white striped tie front t-shirt. Model is wearing a size small. White button down dolman blouse with bottom tie. Model is wearing a size small. White v-neck boxy crinkled blouse with balloon sleeves. Model is wearing a size small. Blue snake print lightweight drawstring jogger with pocket detailing. Matching top sold seperately. Model is 5’8 and is wearing a size small. Fitted micro floral smocked dress with shoulder ties. Model is 5’9” and wearing a size small. Blue snake print long sleeve lightweight blouse with deep v tie back and tie cuff detailing. Matching pants sold seperately. Model is wearing a a size small. White off the shoulder cinched edge cropped t-shirt. Model is wearing a size smal. 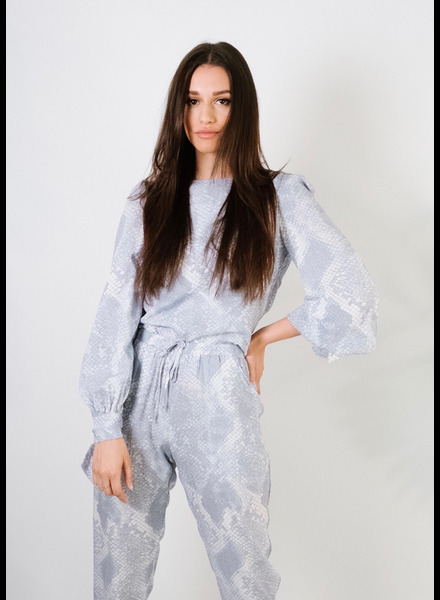 White knit beach jumpsuit with allover shred detail and leg slits. Has a hidden back zipper. Unlined and shown with a whtie swimsuit. Model is 5’9” and wearing a size small. Wthie cargo style chambray skirt with tie waist and front buttons. Fullly lined. Model is 5’9” and wearing a size small. Medium wash smocked waist denim shorts. Model is 5’9” and wearing a size small. Washed black double tie back maxi with deep v cutout neckline and adjustable straps. Model is 5’9 and is wearing a size small. White shirring lace up side woven pant. Model is 5’9 and is wearing a size small.